For the month of October, in conjunction with Adjacent Possible II, SPACE 4 ART will showcase the works of Stephanie Lie and Andrew Hunter & Rebecca Goodman. Stephanie Lie brings together her interests as an artist, computer programmer and arts educator in a special exhibition featuring machines and art. Lie's work has been featured at the San Diego Museum of Art, the New Children's Museum and the Nevada Museum of Art. Lie has taught drawing, electronics and new media art at UC Berkeley, UC San Diego and in workshops with Jane Rosen since 1999. Andrew Hunter & Rebecca Goodman have collaborated to create the ongoing experience of Interactive Environments, which allow the public to interact with technology that monitors their movements to create shifting 3D projected environments. Also in the gallery, will be the visual and audio work Ecotonal by Asha Sheshadri, which explores the influence of the human perception and wonderment towards the natural world. 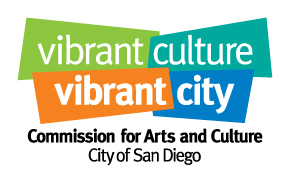 Financial support for the Adjacent Possible II performances is provided in part by the City of San Diego Commission for Arts and Culture.